There is no better time to show your appreciation than around the holidays. There are many reasons to write Christmas thank you notes, though the most common cause is for a particularly well received gift. If someone has given you a Christmas gift that you were very thankful for, or cooked you the perfect Christmas dinner, then you should consider writing a note to say how awesome you think they are. Here are some simple tips that will allow you to show your thankfulness for your Christmas gift. Look through these examples of Christmas thank you notes to get some inspiration for writing your own. After all, if you show your gratitude, you will increase the chances that youâ€™ll find an even better gift under the tree next year. Thank you so much for the Christmas gift you got me! I have wanted one of these since they came out. I didnâ€™t think that I was going to be able to buy one until I saved up a lot of money. Youâ€™re too awesome for words. Again â€“ THANK YOU SO MUCH!!! You are the best. This sample note is more general and does not include the specifics of the present but it is very expressive and Jennifer shows that she is grateful. You are the best Mom in the whole world! You always know what I want and what will make me happy. When I saw my new iPhone I was so excited. As you can remember, I couldnâ€™t wait to get it out of the box. Now i wonâ€™t have to carry around an iPod as well as a phone. I will make sure that you get a lot more peace and quiet now by using my headphones! This note would warm any Motherâ€™s heart. Derek tells his mother what he thinks about her first and then he tells how he felt whenever he got the present. To put some icing on the cake Derek explains why the great Christmas gift will be so useful to him. When I came back home from my business trip for Christmas and saw that the house was cleaned from top to bottom I was completely speechless. That would have been a Christmas present enough! But, when I woke up Christmas morning to see you standing near my bedside with a beautiful diamond necklace, I was almost in tears. You are the most thoughtful husband and I am so glad that you are in my life. Tina tells mike just how appreciative she is for the â€œpre-giftâ€ to throw her off of the scent of her diamond necklace. She lets him know that she realizes that he has gone above and beyond. The extra PS at the end of the note adds a bit of excitement. I have to say we greatly appreciate those special pretzels that you send to us every year. I canâ€™t seem to get enough and the big package of pretzels coming to our door right before Christmas is such a surprise and delight, even though youâ€™ve been doing it for so long. We miss living near you guys, but when we have our box of pretzels show up annually we can feel like we are back at home, at least for a little while. The Christmas bonus this year was above and beyond what I expected. I appreciate that you care about your employees so much and that you work hard to make our lives easier. Bosses like you are few and far between. I hope that you enjoy this gift card to your favorite Mexican restaurant. Whenever you get a very large gift from someone in authority it is wise to write them thank you notes that are personalized. Sending them a small token of your appreciation such as a gift card along with that note could be very demonstrative as well. Wow girl! You sure do know how to throw a party. I had a fabulous time and have to say that I canâ€™t wait to come to your next one. Iâ€™ll bring some more of those chocolates that you loved so much, donâ€™t worry! Tania makes the host of the party feel good because she tells them just how much fun she had at the party. She also encouraged her to have another party by telling her about the great chocolates that she will remember to bring. What Kind of Christmas Thank You Notes Do You Need? Obviously, there are plenty of different types of notes you should write for Christmas thank yous. Depending on the person that you received the gift from you may need to be formal, casual or romantic. Merry Christmas, and have fun with those gifts! 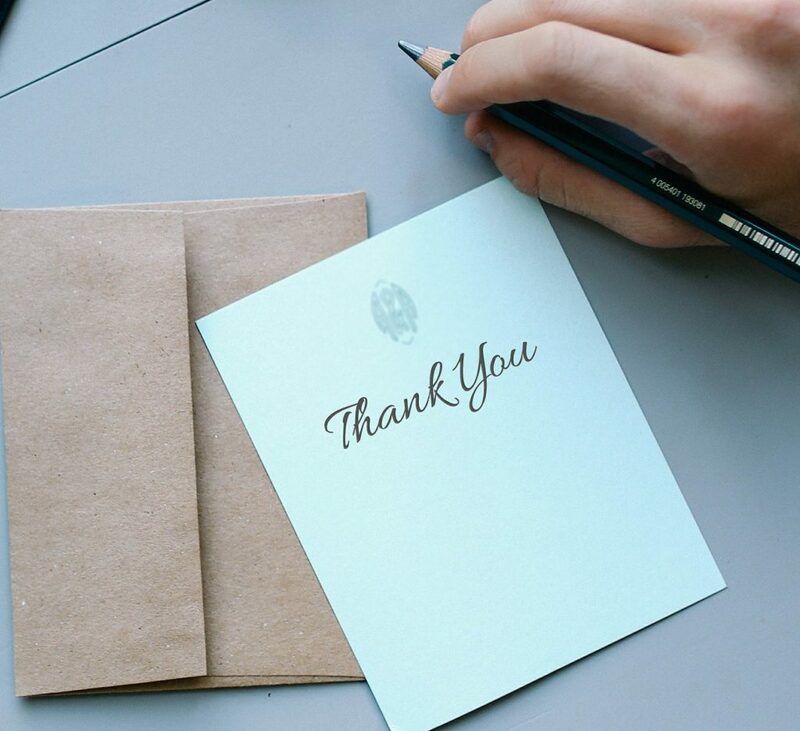 Want to show off a thank you note you've written? Help inspire others by posting your thank you note below, and we'll publish it on this page. Need help writing a thank you note? Resources to help you write thank you notes. Learn the basics of writing wedding thank you notes. Find sample notes and etiquette tips for baby showers. Thank you notes for personal occasions. Find ideas on how to thank important people in your life. Thank you note samples for occasions when you receive gifts. Find notes appropriate for the professional world. Why so serious? These are for fun.